The Samsung U32D970Q is a color-accurate 32-inch 4K monitor designed for photo editing professionals who require pre-calibrated vibrancy and saturation. The Korean display giant is a key player in the high-quality display segment, but some of their products are a hit or miss. Most of them which end up disappointing reviewers and users have a ton of potential, so we can’t say devices coming from them are entirely bad. Now that 4K screens are rapidly becoming the norm, there has never been a perfect time to take a look at the Samsung U32D970Q. 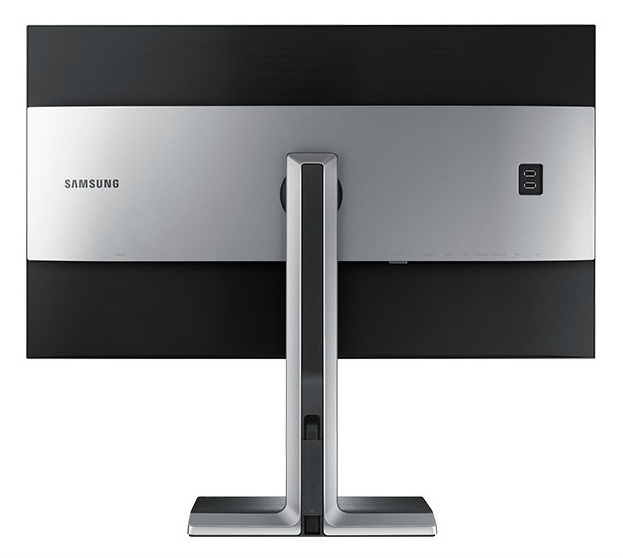 The Samsung U32D970Q looks the part of a sophisticated monitor for professionals thanks to its subtle, but luxurious design. The angled bezels are reasonable in thickness, but they provide extra durability since this layout helps resist unwanted flexing. The matte black texture with a sheen of silver looks gorgeous, and it feels nice to the touch while avoiding fingerprints and dust. The massive 32-inch cabinet which can rival ultrawides hangs onto a well-engineered stand which is also robust and refined, while the whole heft of the product is supported by a square base with enough footing for stability. The mechanism provides tilt, height, swivel and pivoting adjustments with smoothness and ease, but with sufficient firmness to keep your preferred position. The VESA bolt pattern on the rear panel is hidden by a removable plastic cover which you can remove along with the stand if you want to mount the Samsung U32D970Q. The package also includes a conversion bracket so that you won’t have troubles with incompatibility or spacing. On the other hand, the OSD buttons are conveniently placed under the bottom bezel with corresponding labels, but this layout always incurs confusion especially if you have to navigate through a lot of options. Just like any decent designer monitor, the Samsung U32D970Q includes a rich I/O layout for maximized utility. At the back panel, you will find two DisplayPort 1.2 slots, 1 HDMI 1.4 port, a DVI-DL connector and four USB 3.0 slots. Two of these USB receptacles have fast charging so you can connect your mobile devices while working on designs. There are no speakers on this model, but a tinny pair will rarely be missed. The Samsung U32D970Q features a 32-inch 4K IPS panel with a typical refresh rate of 60Hz and an 8ms response time. The size becomes overpowering once you have this product in front of you, although the drop in pixel density is noticeable if you regularly use a 27 or 28-inch UHD screen. Still, 130PPI isn’t such a bad deal, and even if this model uses a matte AG coating, you still won’t see any graininess unless you look hard enough. Samsung advertises that this product went through a meticulous calibration process before shipping to retailers, and from our perspective, this appears to be true. 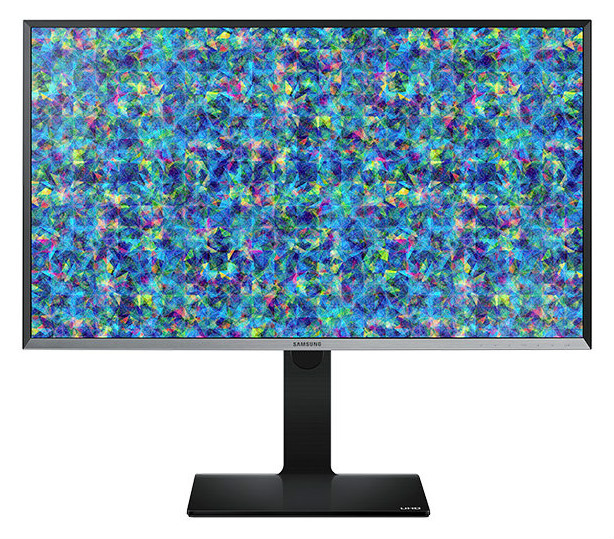 Out of the box, the Samsung U32D970Q displays 100% of the sRGB gamut and 99% of Adobe RGB. Accuracy is off the charts since the Delta E is only at .7, while Gamma sits nicely at 2.2 resulting in accurate vibrancy and saturation. Our test images appear life-like, and games have plenty of lively tones making the experience more enjoyable. One downside to the imaging capabilities of the Samsung U32D970Q is its disappointing contrast which sits in between 400:1 to 700:1, depending on brightness. If you use lower illumination for comfort and eye safety, you might need to live with blacks and grays which are a shade or two lighter than they should be. We tried each of the nine presets available in the OSD, but there is nothing much you can do to improve the picture further. The Samsung U32D970Q’s focus on color accuracy is further cemented by its slow response time of 8ms and input lag which sits at 30ms. These results make this model highly unsuitable for any gaming unless you can live with noticeable delays and apparent ghosting or interlacing. It’s a shame you can’t enjoy your games on the side, but the Samsung U32D970Q was not meant to be a cutting-edge gaming monitor by any means. Its focus on colors should relegate it to serious designing tasks, but for the price, we expected a bit of flexibility. The Samsung U32D970Q has been around for quite some time, so it doesn’t come with variable refresh rate technologies like FreeSync. Although working on pictures, designs, and even watching movies is a breeze, you can’t squeeze any performance for gaming from this product. The Samsung U32D970Q is a superb display product for color-critical performances, but it drops the ball in some aspects we deem to be essential. For starters, the contrast is very disappointing for a high-end display, so you won’t get to enjoy deep blacks or the touch of noire some movies tend to apply. You also can’t involve any after-hours fun with this model, since its slow response time could ruin your gaming experience. 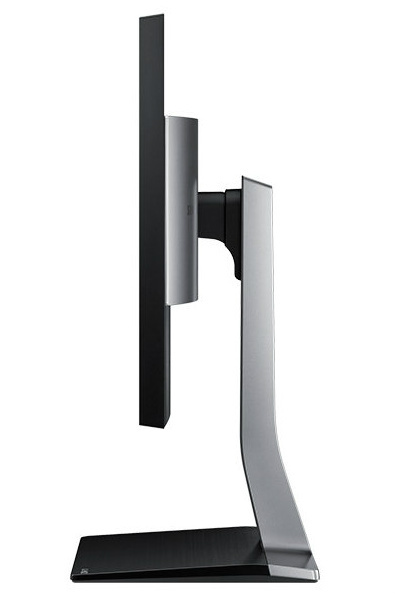 But for designers who want an excellent display on the get go, of course, the Samsung U32D970Q is a splendid choice. In a vast market, it is rare to see and acquire a product which can correctly implement a perfect sRGB and Adobe RGB coverage, minimal color error, and proper gamma levels upon turning the screen on for the first time. Samsung’s factory calibration did an excellent job, although the premium it commands and its value makes it hard to recommend.